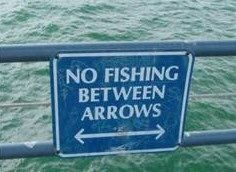 I usually go fishing with all regulations in mind, but I noticed that other that regulations, a lot of people think about ethics and sportsmanship. For instance, regulations says you can keep a bass longer that 14", and a musky more than 48" ... etc. but I know ethically it is better to leave them. I've been fishing for a couple of years but planing maybe one day I am gonna keep a fish for some good-taste-old-fashioned-catch-n-eat dinner with the wife, but without feeling guilty about that species' population, and without feeling that while keeping that fish I am killing the sports of fishing for many other guys and gals. The species I am talking about could include: Walleye, Cats, Crappie, Gills?, Perch and Carp. And I am just talking about local rivers and lakes, Fox, Des Plaines, and Preserves lakes. 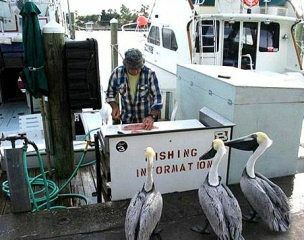 There is no problem taking some fish for the pan. I believe that most people on hear think that taking fish home for dinner is something we have earned as ethical sportsman. Its the guys that fill buckets up with 8" bass that get me steamed. I'd say go and catch some fish and make a nice meal out of it. There's alot of good men and women who we'll be remembering tmrw that gave their lives for this country so would have the freedom to do things like that. Good luck and the perch should be in soon at Montrose so if your looking for a good meal, thats a great place to start! and watch out for Marc out on the water! Oh Dude!! Bass taste terrible and do well on release and they deserve the fight another day. Big cats live long lives, anything over 2 lbs tastes like a true mudpuppy with who knows what stored up into those fat bellys. Carp, smoked or poached the smaller ones are fine, big bruisers are good breeders and depending on the population can be flipped back to fight another day. Panfish breed like flees and make good eating and catching them off the beds gives the spawn up to nibblers. Keep them all except true trophies like a 2 lb gill or 3 lb crappie. Great Lakes fish like Salmon are not going to live beyond the first spawn and should be kept and eaten to the maximum safe of one fish per week. Great Lakes Trout are well stocked to the north and live upwards to to 7 years. Big browns are not the safe eaters and Steelhead/Rainbows under 10 lbs are good for meals to the max of one per week also. 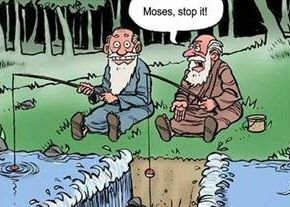 As long as you handle the Trout so as not to remove the protective slime they will do ok on a quick fight and release. Who eats trophy Muskie and Pike? Hammer handles (small pike) make good smoked fish. Know how to catch, fight and CPR species that you intend on releasing and get a good filet knife and keep the catch cool till it hits the kitchen. I usually cut the gills on keeper Trout and Salmon if they are still kicking as they taste better if you bleed them out. 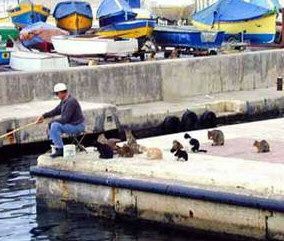 Too each his own but never waste fish. I think most folks here have their personal standards and practices within the regs. Some folks release just about everything. Personally, for perch, in winter I'll keep over 7", summer over 8". Been known to scoop up a 9" floater someone else has thrown back. I'll keep an undersized gut-hook towards my limit, but I mostly fish one rod at a time so that only happens maybe once every 40 or 50 catches. Gills I'll go hand-size (why anyone would bother keeping the palm-sized ones other than for catfish bait is beyond me) and up, crappie over 9". Never caught a genuine bruiser of either species. LM salmon/browns are there to be taken as long as you have your stamp. I'm not really a bass fisherman, but I did once keep a legal largemouth that appeared to have been previously injured from a foul-hook. Didn't taste too bad fried, but not a lot of meat on it. I wouldn't target bass for the taking, but I have no problem with people who obey size limits who do. Just be aware that some folks get a might touchy about people not releasing the ugly green things. Chitown-Angler was started on February 10, 2003 and has received 207579015 page views in total since that date.